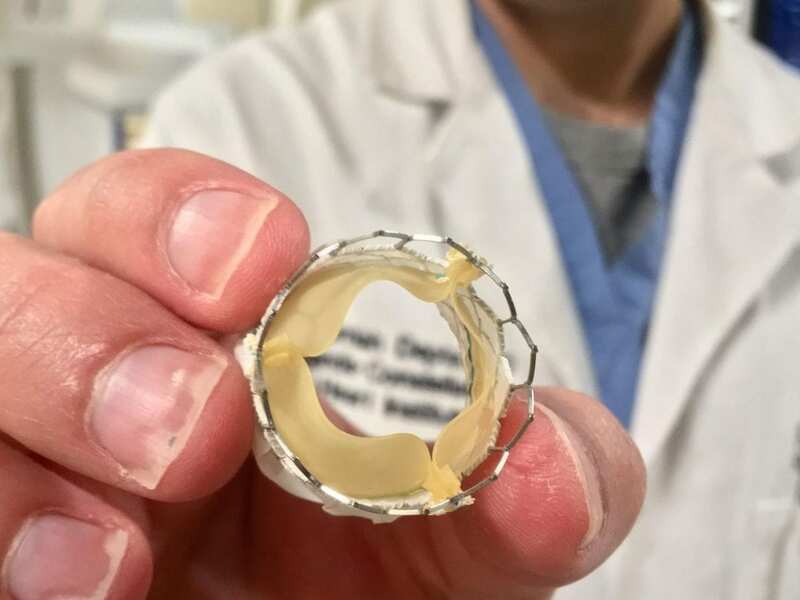 ROCHESTER, NY (WXXI) – A Rochester hospital is the first in the state—and one of the first in the country—to replace a patient’s heart valve and discharge him the same day. 73-year-old John Wood had his first heart operation eight years ago. “It was, rip my chest open and rip my heart open,” he said. Not so this time around. Dr. Jeremiah Depta at Rochester Regional Health put Wood through a procedure called TAVR, short for trans-catheter aortic valve replacement, that had him out of the hospital that afternoon. The whole procedure lasts about 45 minutes, Depta said. Rather than cutting open a patient’s chest, TAVR allows doctors to make an incision in the leg, snake a long tube with an inflatable replacement valve at the end up through the patient’s arteries, and deposit it in the aorta. A few hours later, after the sedatives wore off, Wood was out the door. Hospital staff wheeled him to the curb where his brother picked him up, he said, and then he was on his own. “Soon as my brother got me home, I got out of the car and walked into my house,” Wood said. The procedure is young, as heart operations go, Depta said. First performed in France in 2002, doctors now use the procedure on patients for whom open heart surgery would be a high-risk operation. The U.S. Food and Drug Administration approved TAVR in 2011, and over 100,000 patients have received the procedure since then, the FDA said.